We were so very sorry to hear of Sir John Sulston’s death. 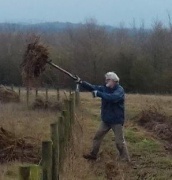 Not only a long-standing Member and supporter of The Magog Trust, he had become quite a regular at our monthly working parties on Magog Down (pictured here in February 2017, enthusiastically helping to clear grass cuttings from the Villedomer Wood margin). His good humour and practical nature will be sorely missed by all of us who knew him. It was sad news too just a week later to learn of the death of Prof Stephen Hawking. 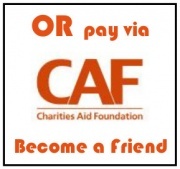 He had been a Patron of The Magog Trust for a number of years. 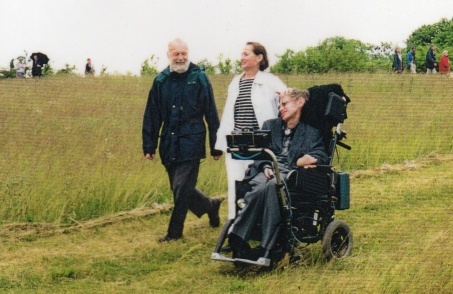 In June 1998, he opened the easy access path from the disabled parking bays on Magog Down, to the top of Little Trees Hill. The firm pathway through the North Down meadow takes a gentle slope around the perimeter, making access to the top of the hill possible for wheelchair users. It gave Prof Hawking enormous pleasure to see Cambridge spread before him, as it continues to do for many visitors today. Above right: Stephen Hawking at the opening ceremony, with our President Christopher South. 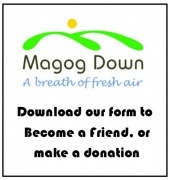 Below: enjoying the easy access path on Magog Down.